Lin-Manuel Miranda Says Robin Wright's Tonys Appearance Was a Surprise to Him! 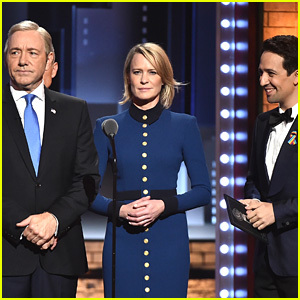 Robin Wright popped out on stage as her House of Cards character Claire Underwood at the 2017 Tony Awards on Sunday night (June 12) and no one was more surprised than presenter Lin-Manuel Miranda! While presenting the award for Best Musical, Lin called for the envelope and host Kevin Spacey walked it out from the wings while dressed as Frank Underwood. It seems his co-stars Robin and Michael Kelly were not there at rehearsal! “Wonder Woman’s Aunt wasn’t at the rehearsal for this bit, if you’re wondering where my chill was in this instant. #Antiope #AsYouWish,” Lin tweeted with a GIF of the moment. Robin played the role of Antiope in the new movie Wonder Woman. 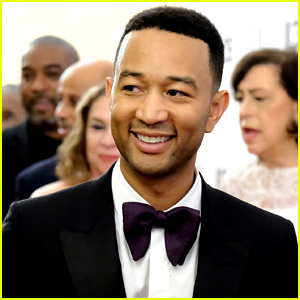 John Legend Wins a Tony, Only Needs an Emmy for EGOT! John Legend is just one award away from achieving the EGOT distinction, which is when you win an Emmy, Grammy, Oscar, and Tony. The 38-year-old entertainer only needs to win an Emmy now after winning at the 2017 Tony Awards on Sunday (June 11) at Radio City Music Hall in New York City. John, who was joined at the event by wife Chrissy Teigen, won the award for Best Revival of a Play for producing the show Jitney. John has won ten Grammy Awards in the past and he won an Oscar in 2015 for Best Original Song. Make sure to see the hilarious photos of Chrissy‘s shenanigans in the press room after John won the award! 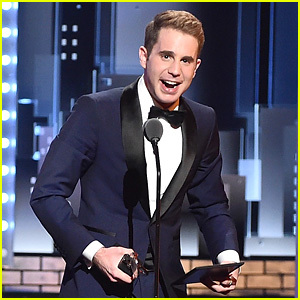 Ben Platt gave one of the most inspiring speeches of the night for his Best Leading Actor in a Musical win at the 2017 Tony Awards! The 23-year-old Dear Evan Hansen sent an inspiring message to young people while accepting his award on stage at Radio City Music Hall on Sunday night (June 11) in New York City. “To all young people watching at home, don’t waste any time trying to be like anybody else because the things that make you strange are the things that make you powerful,” he said after his rapid-paced acceptance speech. Do you know anyone who can talk as fast as him under that pressure?! In one of the best moments from the 2017 Tony Awards, Best Actress in a Musical winner Bette Midler outlasted the orchestra trying to play her off stage in the middle of her acceptance speech! Despite talking for over four minutes, Bette still forgot to thank some people. “In all the pandemonium tonight I neglected to thank the brilliant ensemble of ‘Hello Dolly,’ whom I adore. Please forgive me kids! I’m old!” she tweeted. Chrissy Teigen Grabs a Camera, Joins Press Line at Tony Awards 2017! The 31-year-old model was in attendance at the 2017 Tony Awards at Radio City Music Hall on Sunday (June 11) in New York City to support her husband, John Legend, who was a producer on Tony nominated play Jitney. Jitney won Best Revival of a Play, and therefore, John now has a Tony Award to add to his resume! Chrissy seemingly grabbed a photographer’s camera to snap photos of her husband while he was doing press for Jitney after the Tony win. Fun! John now has won Grammys, an Oscar, and a Tony, meaning he’s one step away from EGOT’ing! 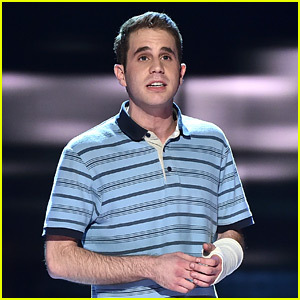 Ben Platt belts out “Waving Through A Window” from Dear Evan Hansen while performing at the 2017 Tony Awards on Sunday (June 11). The 23-year-old actor won the Best Actor in a Musical award for his amazing work in the show. The show also won Best Musical. Congrats! Ben‘s performance at the Tony’s is so impressive considering he was on vocal rest this week on doctor’s orders. Watch the performance below, and check out Dear Evan Hansen if you’re in the New York area.